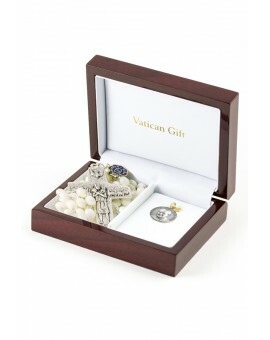 Christmas Gifts There are 26 products. 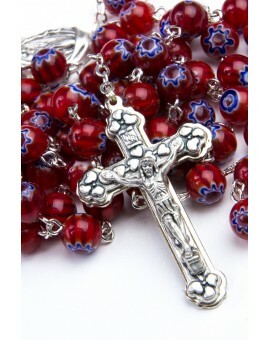 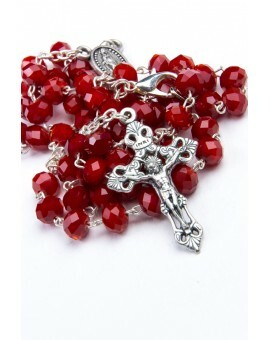 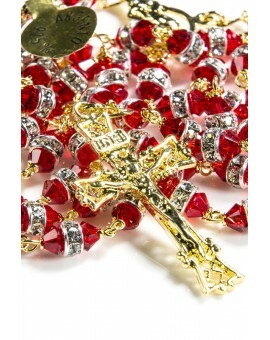 This fine Rosary Necklace is made with Red Crystal beads. 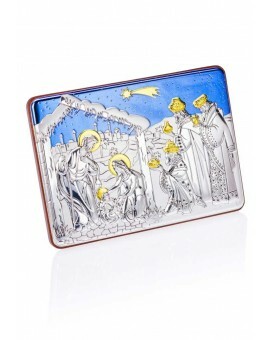 The Venetian murrina glass works originate from ancient Phoenician, Alexandrian and Roman glassware. 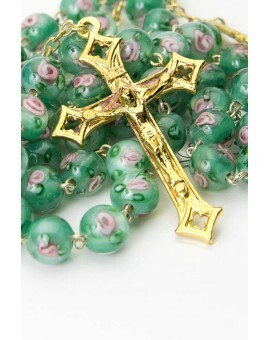 Every bead is made in Glass from Murano, and little glass roses are enclosed in the beads. 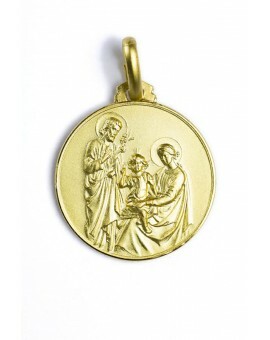 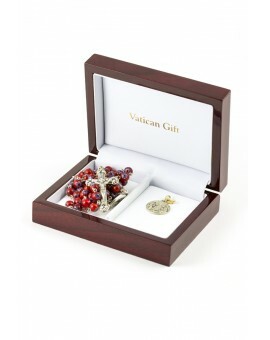 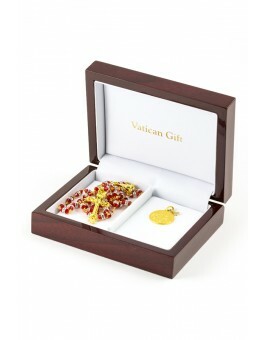 This wonderful Rosary is made in 925 certified sterling silver, gold plated 24 kt shine. 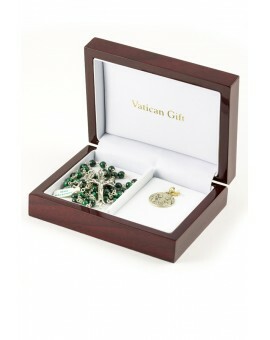 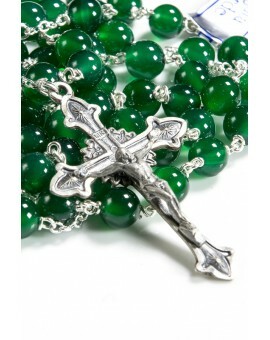 This Rosary is made entirely in certified sterling silver 925, with Deep Green Agata 6 mm beads. 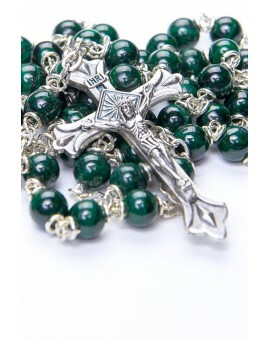 It is a preciuos Rosary with green trasparent stone. 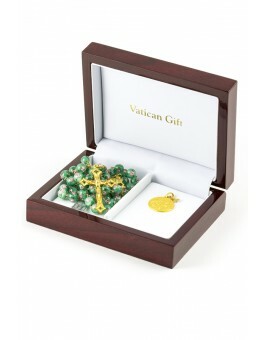 Rosary made in green crystal faceted drops set in metal, handmade in Italy. 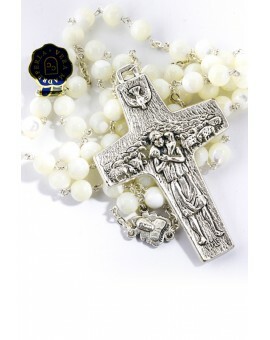 Rosary made in natural Mother of Pearl, with the Pope Francis Crucifix. 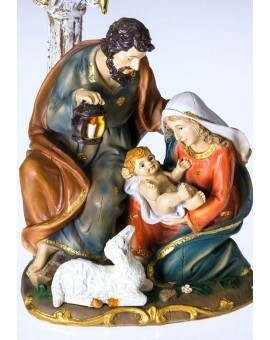 And Joseph also went up from Galilee, out of the city of Nazareth, into Judaea, unto the city of David, which is called Bethlehem; (because he was of the house and lineage of David:) to be taxed with Mary, his espoused wife, being great with child. 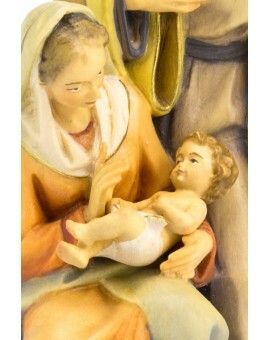 And so it was, that, while they were there, the days were accomplished that she should be delivered. 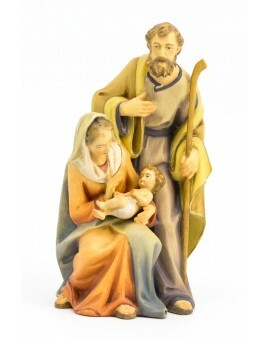 And she brought forth her firstborn son, and wrapped him in swaddling clothes, and laid him in a manger; because there was no room for them in the inn. 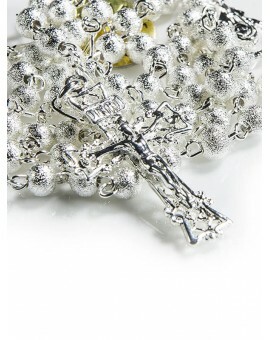 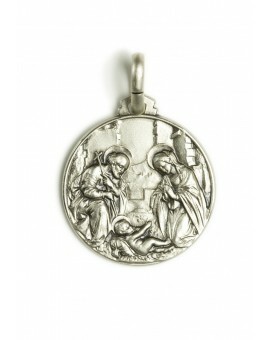 Precious Rosary entirely made in certified sterling silver. 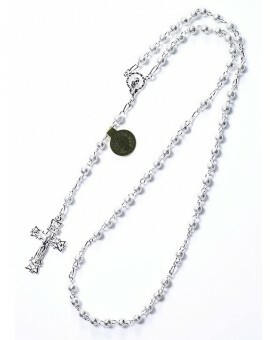 The beads, the chain, the center and the Crucifix are made in silver with different treatments: bright and satined. 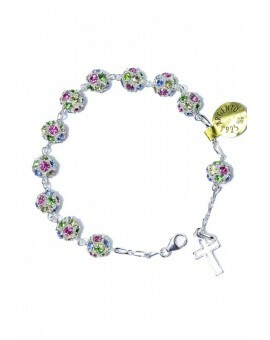 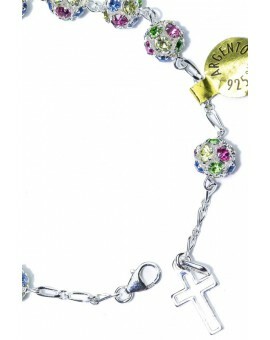 Sterling silver 925 Rosary Bracelet with beads composed with coloured strass. 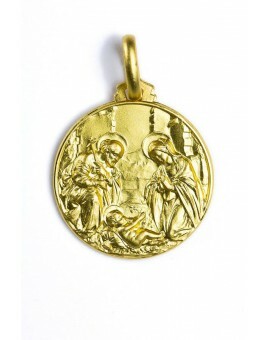 This Medal is made in Tuscany with a special technique to make the most of all the details. 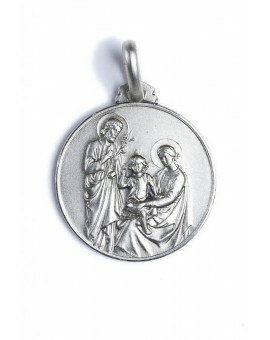 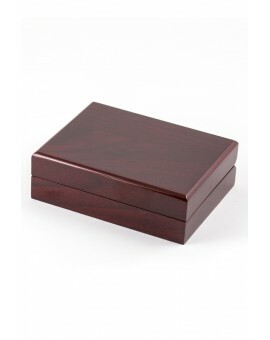 It is in certified solid Sterling Silver 925. 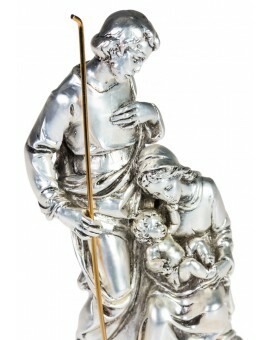 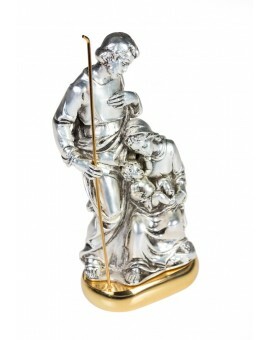 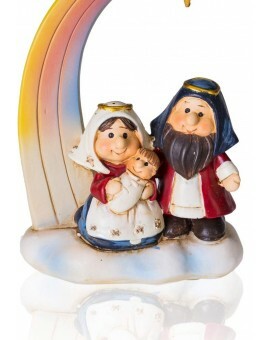 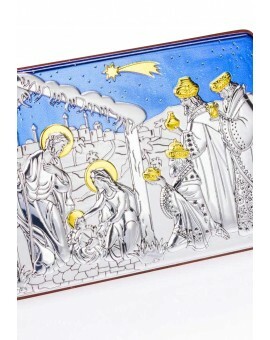 Fine Nativity scene in Silver color with Gold color base. 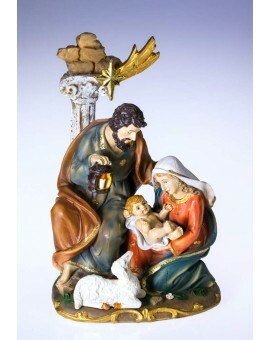 It has a carillion in hte base. 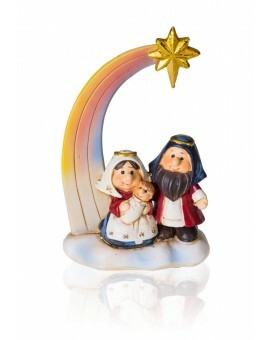 Children's Nativity Handpainted in marble powder.